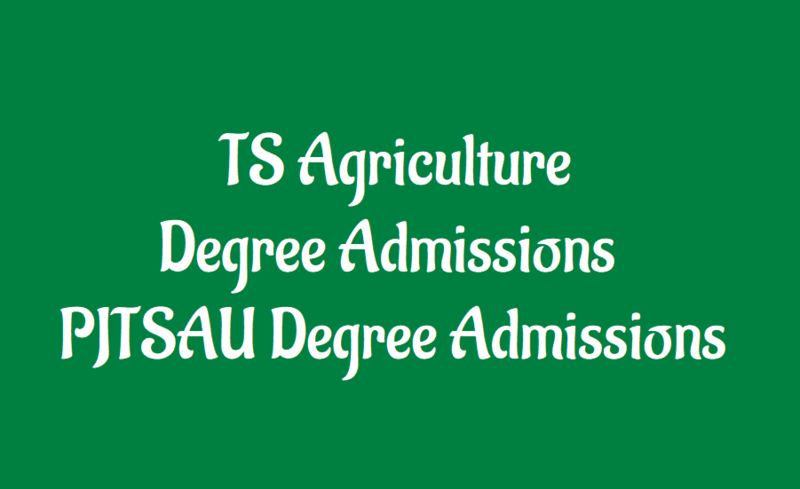 Telangana Agriculture Degree Admission 2019 Notification/PJTSAU Degree Agriculture Admission 2019 Notification/Agriculture Degree Admissions 2019: Under Graduate Programme: The Professor Jayashankar Telangana State Agricultural University(PJTSAU) would issue UG Course admission notification in the month of May, 2019. The University invites the applications in the prescribed format from the eligible candidates for admission into various Bachelor degree programmes in the faculties of Agriculture, and Home Science at its constituent colleges of Professor Jayashankar Telangana State Agricultural University, Sri P.V. Narshimha Rao Telangana State University for Veterinary, Animal and Fishery Sciences and Sri Konda Laxman Telangana State Horticultural University for the academic year 2019. Thank you for providing your opinion. Please contact to Help Desk..
Good evening sir we already applied for my daughter in BSc agree, we are in sc, female category, my daughter 63795 rank was got and 2.23 hector land also on my name. Can we expect the seat. Can you Please let me know the Status of Reservation of Seats (Shortlisted Details). sir, this is Harshavardhan Reddy my ts eamcet rank is 6,314 i belongs to ou region can i get seat inag.b.sc. [or] b.v.sc. please give reply. sir, this is sanghavi,i got 3990 rank in telangana eamcet 2015. I have applied for B.Sc (Vet) on 23rd of june but it was reached on 26th of june.As the last date was 25th will you consider my appication? if so when will I get my acknowledgement letter? Sir, my sister got 24818 in ts eamcet and also eligible for local ou. She belongs to BC-A. She has applied for Agbsc, horticulture and veterinary on 22nd June. May I know whether she can get a seat in any of the three courses. I Am Srinivasulu from Mahaboobnagar, Can you Kindly let me know when the B.Sc Agriculture (Form-A) Admission Results (Counselling Dates) will be announced. I look forward for your earliest convenience.